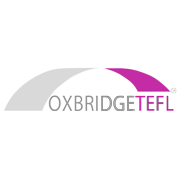 At OxbridgeTEFL we are creating a worldwide community of English teachers offering teacher training and job opportunities both with OxbridgeTEFL, and associated partner schools, and can also guide you on how to run your own ESL business. Community members benefit from a teaching system that provides ready-to-go classes and possibilities of using the system for teaching and developing your own business worldwide. As the community is expanding, we have openings for innovative people to join our current team of teachers. No teaching experience is necessary as we will provide you with everything you need once you have acquired an Oxbridge TEFL certificate, which will enable you to become part of our TEFL community. If you have a successful interview, the course fee for you will range from €299 to €699, depending on the type of course you choose to do. We offer: • 120 hours of TEFL training • 20 hours of observed and evaluated teaching practice • Small groups of up to 5 candidates for better communication • A placement within our worldwide TEFL community • Guaranteed positions for the best graduates after completing a successful TEFL course with Oxbridge In order to find out if you qualify, or if you have any questions, simply click the link to arrange an interview via our website.